Because your fitness needs continue to evolve, we have taken the steps to proactively evolve our products as well. The new CrossCore® system reaches the next level in our training and yours. CrossCore’s patented pulley system separates us from any other suspended bodyweight product on the market. 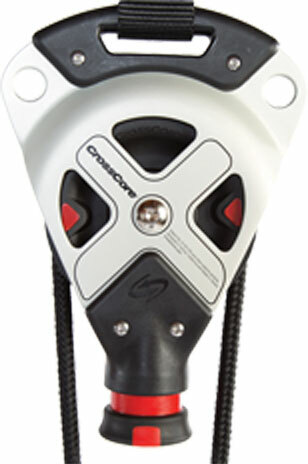 CrossCore® System is literally the revolution in suspended bodyweight training! “This isn’t what I’d expected – this is a hell-of-a-lot better than I expected!” In his book, Marty Gallagher, International Powerlifting Champion, coach, and military training advisor, asks “Can a real man get a real workout using a portable bodyweight training device?” The combination of Gallagher’s vast experience and training tactics with CrossCore® can bring those with the highest level of training and conditioning to their knees. Gallagher uses his storytelling abilities to present great examples of top elite operators and athletes using CrossCore to take their game to the next level.